Serve food tableside while protecting surfaces from heat with this Le Creuset oval trivet. Made of enameled cast iron, it features a classic white color. Ideal for holding roasters, Dutch ovens, casseroles and more, this trivet provides a large surface area. 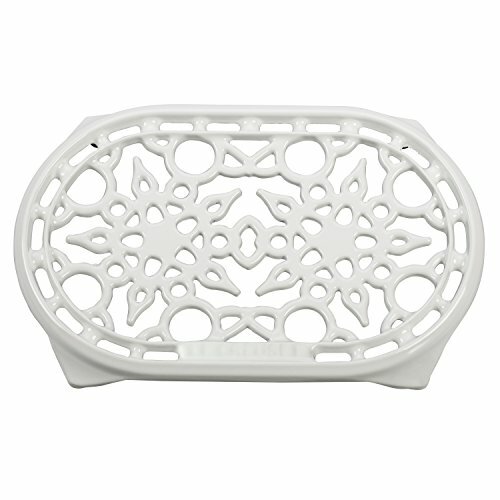 With an intricate, unique design, this trivet makes a lovely addition to any kitchen.